The experience with Windows 10 April 2018 Update has been smooth and flawless on most of the devices, but on some configurations, the Windows 10 version 1803 is far from being a flawless feature update. 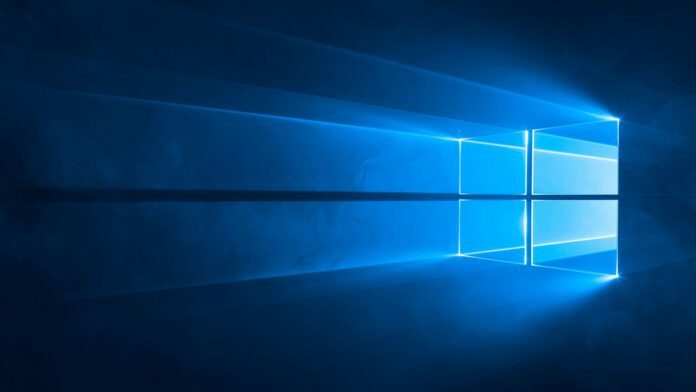 The newest version of Windows 10 is instead doing more harm than good on users’ PCs. The report indicates that the systems with Avast Antivirus solution have experienced a blank desktop with no icons after upgrading to Windows 10 April 2018 Update (version 1803) and the number of reports has increased significantly in the last couple of days. Both Microsoft and Avast are investigating the problem, and it’s not yet known why and how Avast antivirus might have broken down compatibility with Windows 10 version 1803. Earlier this week, Microsoft told us that they are investigating the reports. Yesterday, Avast product manager, Martin on their company’s forum shared that Microsoft has started to block the Windows 10 April 2018 Update on systems with Avast antivirus solution. “Microsoft temporarily disabled the updates on version 1803 on PCs with Avast. We are working together with MS to find out the cause of this issue, but unfortunately right now neither MS nor us are able to reproduce the issue,” he said. As noted above, the computers with Avast antivirus could be bricked when trying to upgrade to Windows 10 April 2018 Update. Once a computer is completely bricked, the desktop would not work and the users would need to reinstall the operating system as no other workarounds are available at the moment. You can uninstall the Avast antivirus solution before the upgrade and reinstall the app after upgrading to Windows 10 version 1803. You can always delay the deployment of Windows 10 April 2018 Update. Microsoft and Avast are investigating the reports, and in the meanwhile, Microsoft has blocked the upgrade to Windows 10 version 1803. Unfortunately, Windows 10 April 2018 Update is slowly proving to be one of the buggiest updates but things are expected to improve in the coming days. In the past few weeks, the reports revealed that the update eventually leads to a black screen and dead computer. It is, however, worth noting that the update is bricking only a small number of PCs, and I haven’t experienced a single bug so far in the April 2018 Update. People still run that mess called Avast? False positives and pop ups galore, no thanks. Avira. It’s mostly set and forget but you’ll still need to reboot when the client updates and of course renew the license. Plus they have a robust beta program and don’t break browser security by installing MITM certificates like nearly everyone else does (even Kaspersky and BitDefender.) The main drawback is unlike other mainstream vendors they’re never on sale anywhere. Only way to get a discount is to buy multiple years at a time. Lastly, they’re based in Germany, a country with a longstanding preference for privacy and less likely to be influenced by Russian or government interests. Excuse my ignorance on these matters but is there a British anti-virus? You’re already ahead of 95% of people just by being curious and interested. Nothing to be ashamed of. Windows 10 version 1803 has been downloaded on my desktop but my Avast Premier antivirus disappeared. A message stated that the app. has been removed from my PC because it does not work with this version of Windows 10. How can I reinstall an Avast antivirus that DOES work with version 1803? Avast has already fixed the issue with latest update. You can reinstall it on your PC and it should work fine.